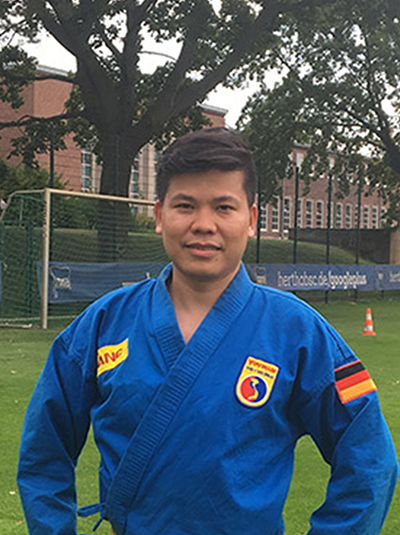 6th Dang, vice president of the German Vovinam Việt Võ Đạo association. Võ Sư Chiêu was born on March 13th, 1952 in the province of Bạc Liêu (South Vietnam). He started training Vovinam in 1966 in a class of Võ Sư Trần Văn Bé at a school in Saigon. Towards the end of 1970 Võ Sư Chiêu finished school and went to Germany to study at the University of Stuttgart. 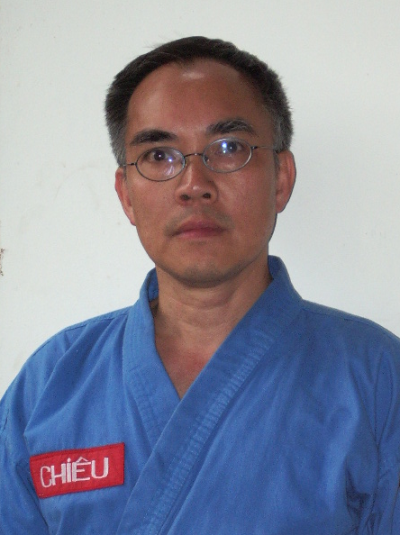 Hoang Pham started to learn Vovinam in the end of 2010 with master Vittorio Cera at Vo Duong Gorla in Milan, Italia. Master Vittorio Cera is the technical director of the European Vovinam Viet Vo Dao Federation EVVF and holds Hong Dai Nhi Cap (6th Dang). In 17th May 2015 in Briosco (MB), Italy, he passed the Hoang Dai (Yellow Belt) at the exam session organized by the Italian Vovinam Viet Vo Dao Federation.